A large sprawling estate that holds a mansion, a huge manicured lawn with trees, flower beds and fountains, or a deserted land property that you own but have no plan to use it right away, or a large office complex with tall buildings, cafes and car parking- all these large areas need strong gates for their security. Bottom line is you need sturdy, strong and obviously durable estate gates so that your property is protected from trespassers, theft and predators. 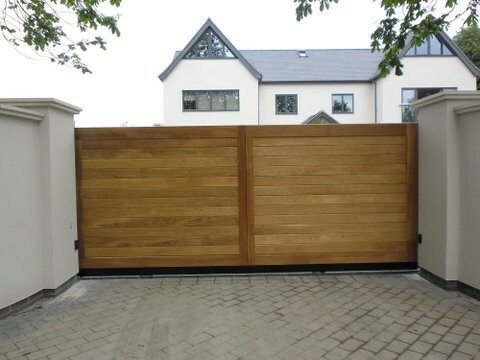 We, at Mitech Joinery offer you such gates made of wood in different designs. 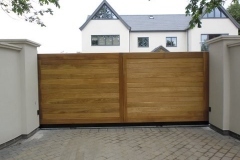 Installing estate gates is not something that you will do very now and then, which is why these gates are expected to last long and keep performing with the same efficiency. Home is the safest place on earth and only an efficient and durable gate can ensure the safety of your loved ones residing inside the premises. 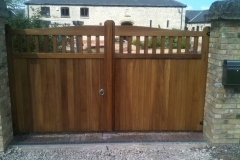 So Mitech Joinery presents wood made estate gates that are beautiful and reliable for protection. 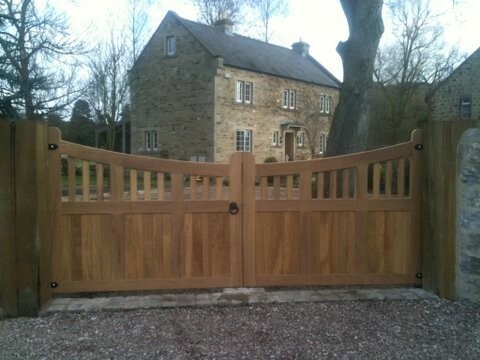 Foundry style bow topped estate gates in hardwood. 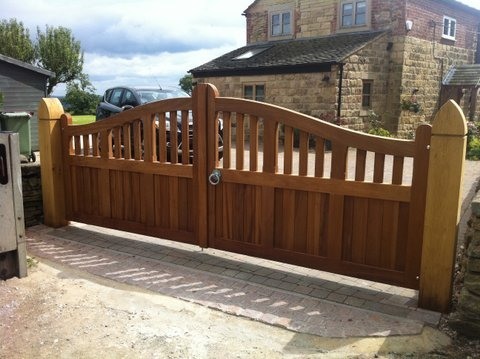 Pathway style estate gates with centre mullion details. 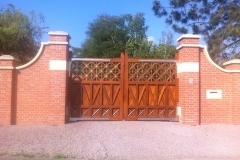 Pathway style hardwood estate gate with gun stock arch. 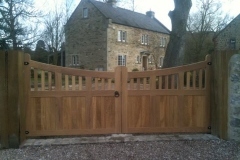 Hardwood Tansley style serpentine gates. 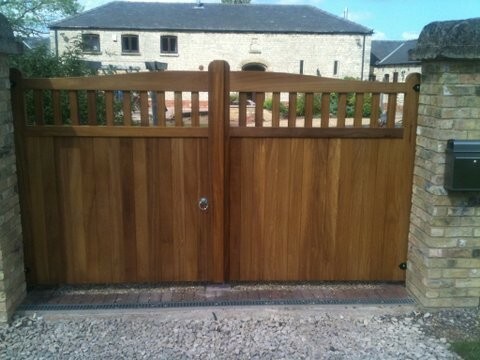 Horizontally boarded contemporary style straight top gates of hardwood. The last mentioned series is our signature model. It has utilitarian as well aesthetic value. With intricate details, this particular design will not only keep your house secured but also enhance the beauty of your estate. 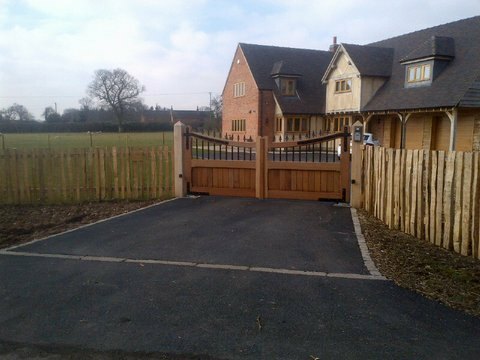 When the driveway is long, your estate gate will stand all by itself. 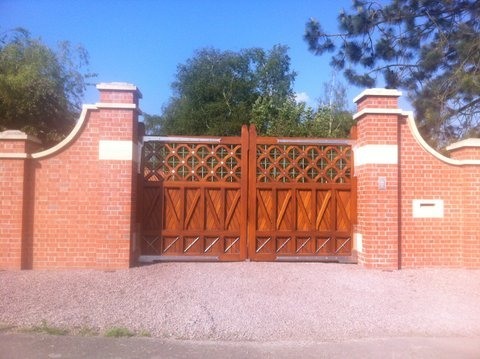 In such case, we make sure that your gate should make a statement with its style and sophistication. The exterior beauty and the curb appeal of your house largely depends upon these gates. Having said all these, there is no denying the fact that appearance surely is the second criteria, first one being security. We understand and value this sentiment. So at Mitech Joinery, an ideal estate gate is graceful, elegant and strong that will ensure privacy and the safety of your abode. For more details, you can contact us or view online catalogue at our website. 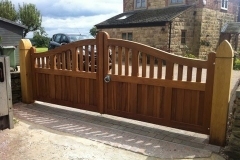 Look our varied range of estate gates yourself that are available at all the price ranges and do business with us only when you are satisfied with our products.